The cheer of a crackling hearth fire. Colorful cards from friends and loved ones. An evergreen tree festooned with ornaments.The golden traditions of Christmas—gifts, wreaths, stockings, carols, mistletoe, and more—infuse our celebration of the season with meaning and glowing memories. And, in ways you may not realize, they point us to the birth of Christ.Stories Behind the Great Traditions of Christmas reveals the people, places, and events that shaped the best-loved customs of this merriest of holidays. Here are spiritual insights, true-life tales, and captivating legends to intrigue you and your family and bring new luster and depth to your celebration of Jesus’ birth. Discover how• after eighteen centuries of all but ignoring the event, churches began to open the door for believers to commemorate Jesus’ incarnation.• the evergreen tree, once a central theme in the worship practices of pagan cultures, came to represent the everlasting love of God.• the magi’s three gifts—gold, frankincense, and myrrh—are filled with spiritual symbolism.The traditions of Christmas lend beauty, awe, and hope to the holiday, causing people all over the world to anticipate it with joy. 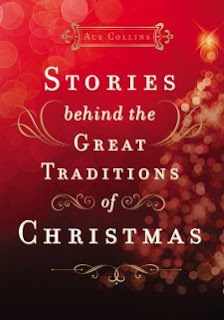 The stories in this book will warm your heart as you rediscover the true and eternal significance of Christmas. A truly awesome book! It gives a real in depth look at a lot of our traditions! I loved the spiritual tie to our traditions, most of them I didn't even know! The chapters are super easy to get through. I've already got through the book once and I think 2 days before December I goin to start reading a chapter a night with my family and start a new tradition!